Planting seeds is a risky and sometimes surprising business. You plant them, and yet you never know when or how they will come up. 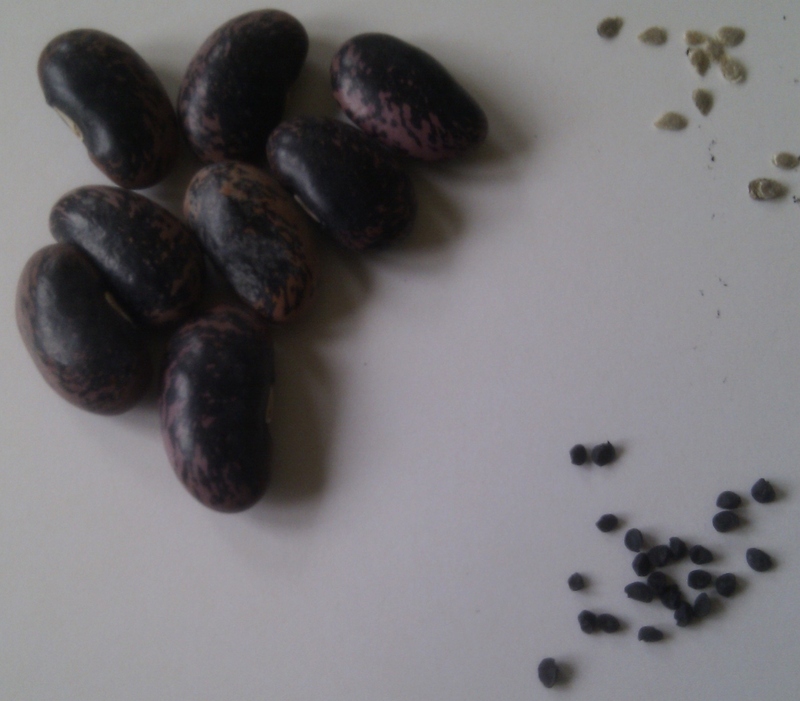 Seeds grow very much dependent upon heat, water, quality of the soil, and the pecking of the birds. We can do what we can to help the growing conditions, but unless you sow the seeds, they have no chance to grow at all. Jesus tells us about a sower going out to sow. Interestingly, although he tells us about the success or otherwise of the various places the seed lands, he doesn’t use that as a reason to sow very carefully, to choose what look like fertile places to plant, not even in his explanation. Wondering whether the crop will grow or not is not an excuse not to sow seeds. It may be a reason to take more careful care of the seeds we do sow, to tend them, keep adding to the soil, keep them free from weed and try to keep the birds from pecking – but not to stop sowing. You never know what surprises you might get. We have one poppy come up in our front garden – actually it looks like nearly everyone on our road has! I didn’t plant it, I assume it was blown there by the wind. I can’t even claim to have tended it lovingly and carefully, I didn’t notice it until it was flowering, but it is a beautiful and wonderful addition. The sowing, even if done by the wind and rain, was not in vain. Carrots – but not as you know them! They wouldn’t be accepted by any supermarket, the wouldn’t meet any directives for straightness, they may not even be seen as appropriate to serve – but strange-looking or not – they tasted great. 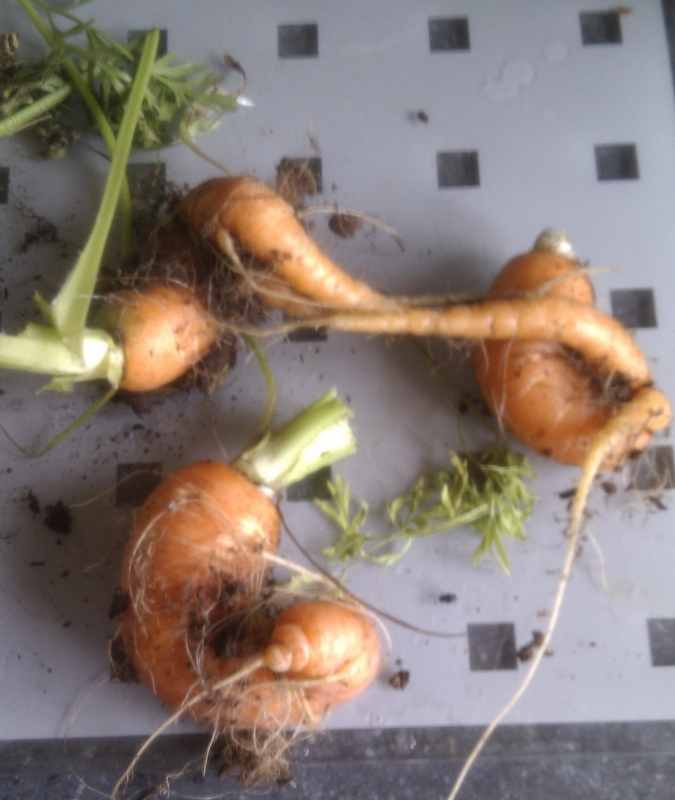 Their way of growth did not stop them being carrots all the same. We are called to sow, not to dictate growth, style, place to grow, colour of the flower or anything else – just to sow the seeds. So we should keep sowing, anywhere and everywhere, and who knows what will grow and where? What surprises we might get? And what will be produced? Oh – and I think Jesus was talking about sowing his word, his ways, by what we do and say.